Time goes too fast, we’re already at episode 4. Also I get the feeling I spent too much time on this, will try to make next posts shorter. Need to make choices to do other things too. Like that Pretty Series history thing that I started in September 2017 and still haven’t finished lol. 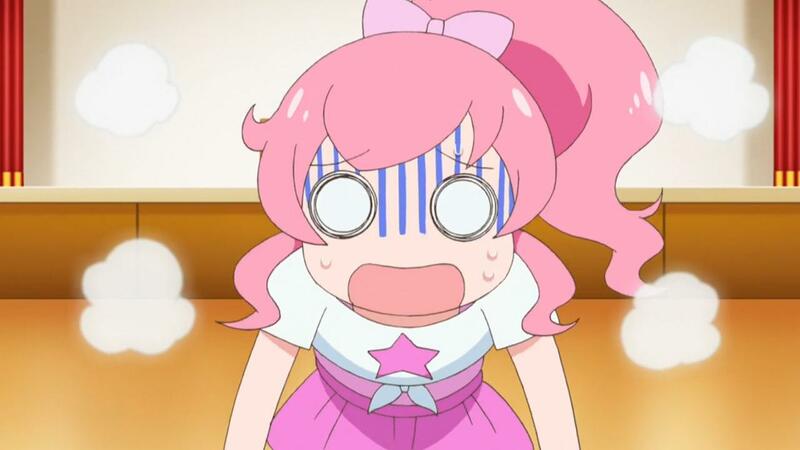 Still haven’t translated anything related to Kinpri 2 too. SASUGA PATTISSERIE LA PECHE NO CHARISMA PATISSIER. Someone on twitter pointed out Emo’s hair looks like bananas and now I can’t unsee it. Though if it was me I’d say they look more like Wonder Boy 3 The Dragon’s Trap’s boomerangs. 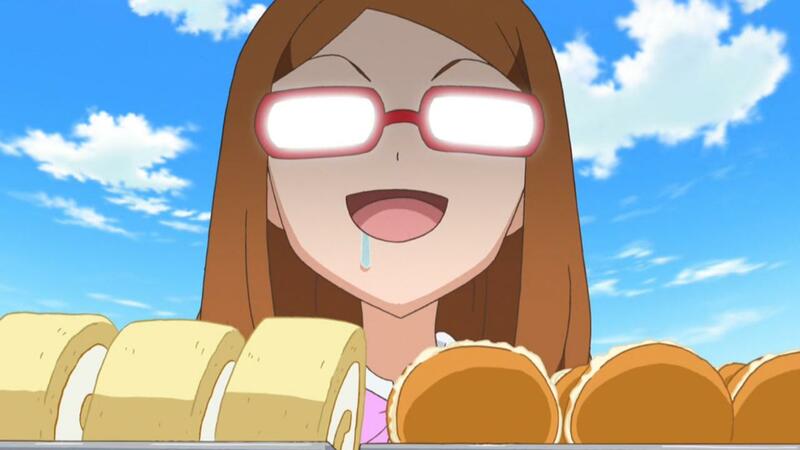 And seems it’s Mirai Mom doing the goods at their shop. 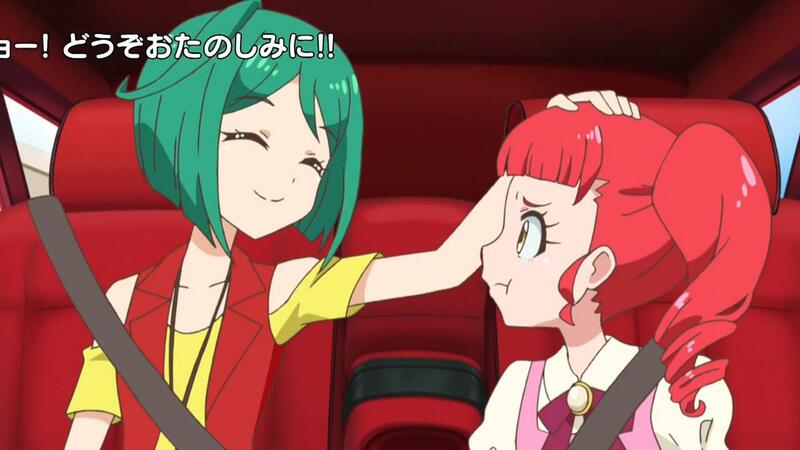 Maybe Hikari helps too. 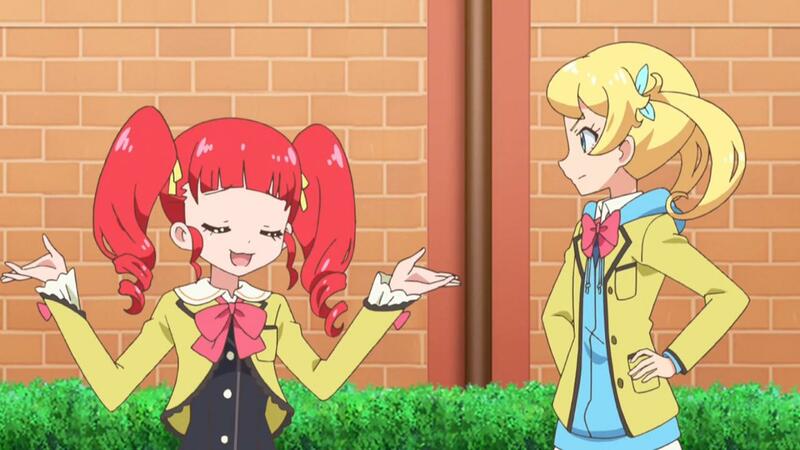 Maybe it’s just my imagination but I get the feeling Mirai sounds a lot like Laala when both speak “like adults”. What I mean are the times in PP when Akaneya would randomly do a more adult like voice during random discussions or jokes. 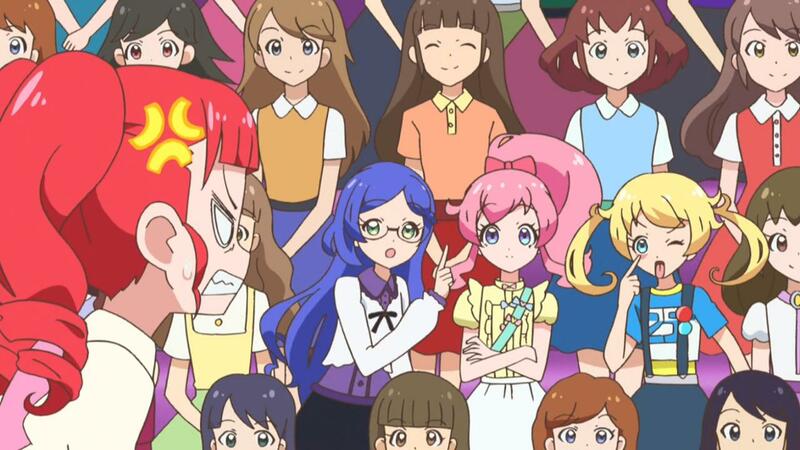 It sounds similar to when Mirai speaks normally without shouting. 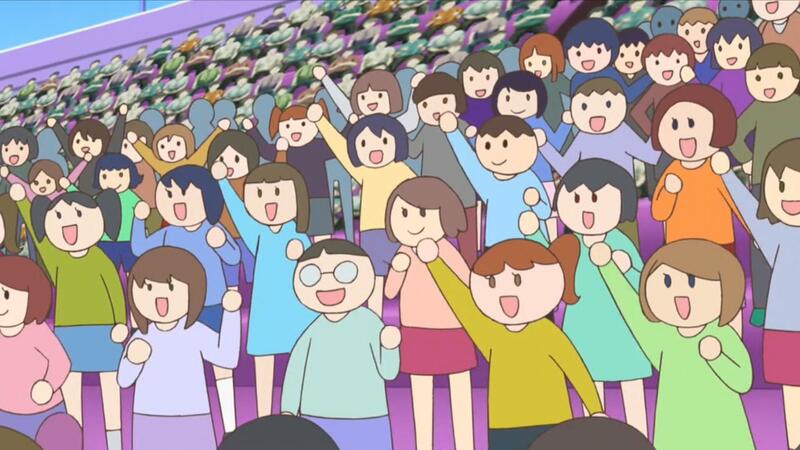 In RGZ anime you often see background chars drawn like that as well. 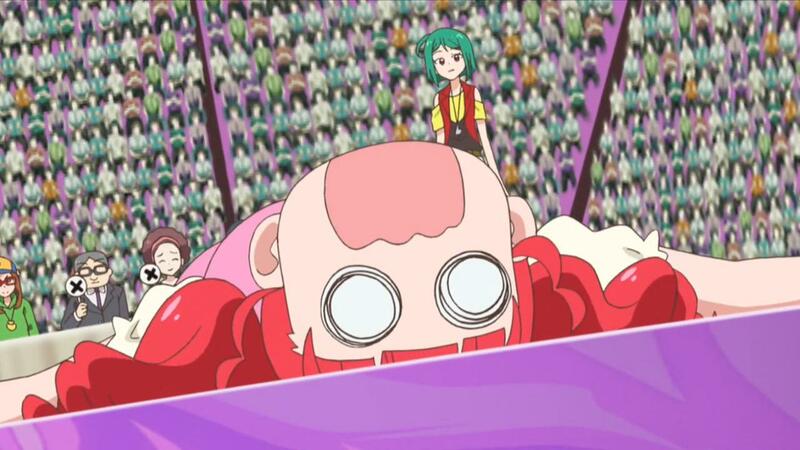 though I think they’d mostly do it to randomly reference Go Nagai chars. From the jikai I thought they’d play Baseball with Akaii Meganee. Didn’t turn out to be the case, a bit disappointed. 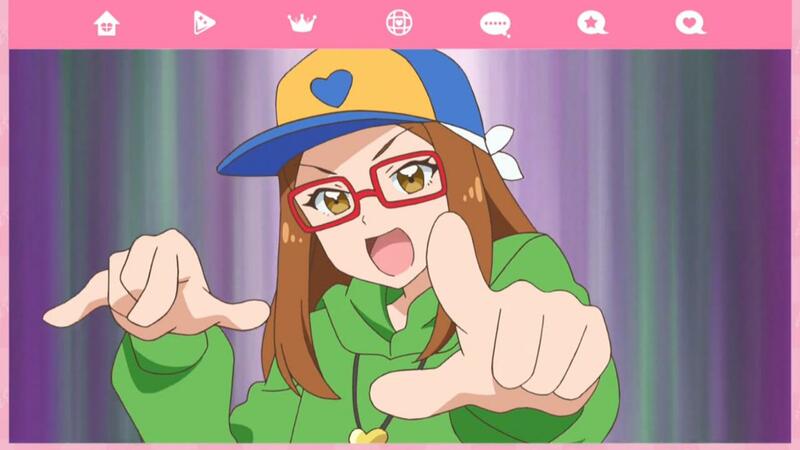 So Akaii Meganee in order to help Prichan newcomers, do these Prichan Battle Stage thing. They brainstorm lyrics for a song+choreography and the ones who gives out the best idea win the right to use the song. 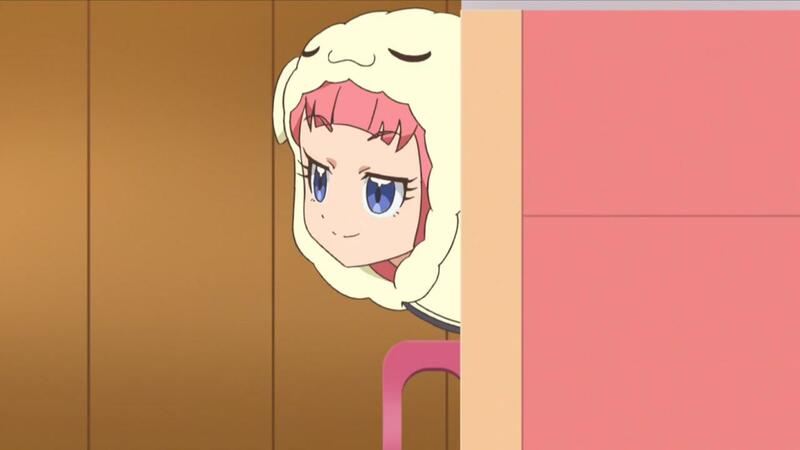 Are they actually gonna do a stalker arc except the stalker is White Girl. I’m not getting my hopes up but I hope they’re actually building up to something with this. Dude playing at front of the station was voiced by Hase Norihito, seiyuu at 81 produce who also did Diamond guy in The Shuffle in Kinpri. Training outfit is nice. And it still similar to the ones they used in PP and PR. Anna and Princess Sarah scenes are always funny so far. 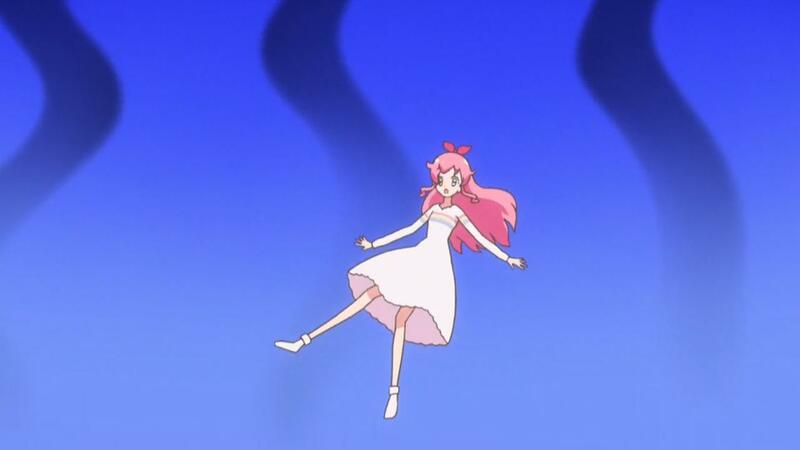 Mirai calls her designs “Mirachara”. 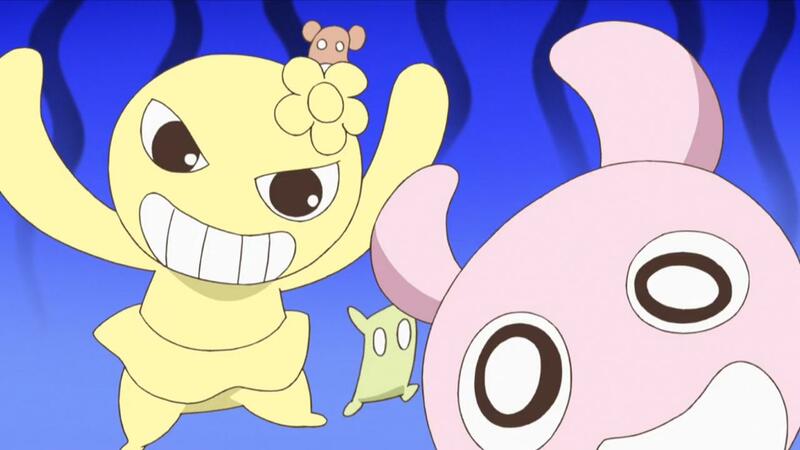 hahahha tchipping, wasn’t expecting this in an anime. Though that’s probably not what they had in mind. But yeah, many people do this in the world and not just west africans. 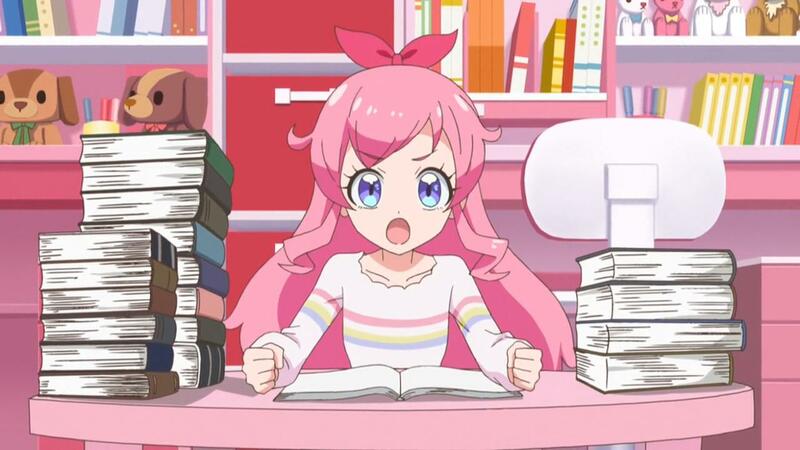 That’s how she wrote the famous Pink Ichigo’s Trill Sonata. Surprised they didn’t put a don’t do all nighters at home kids. 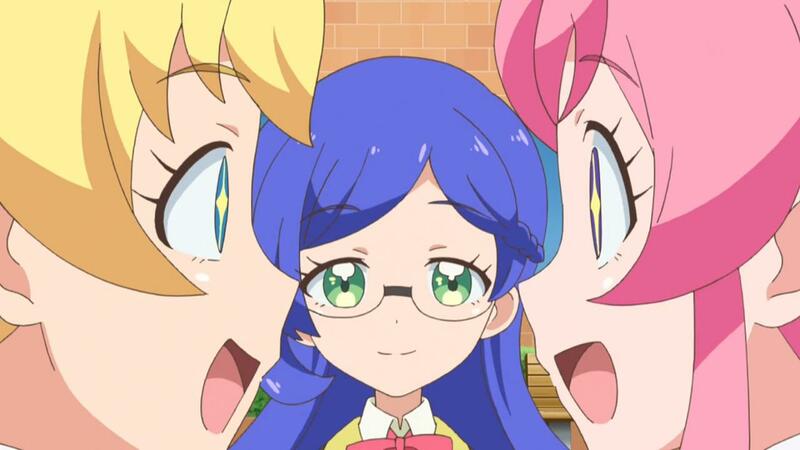 It’s nice how Mirai actually points out how she only did unprepared lives so far but it went well each time so she doesn’t get scared. 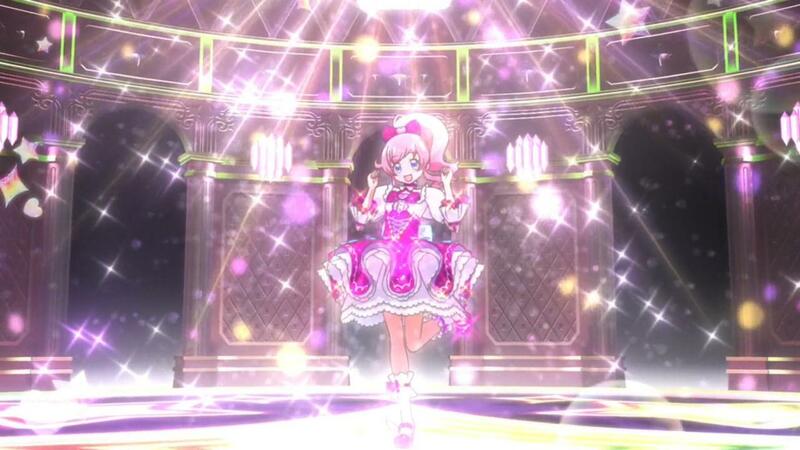 Was same outfit and Yattemita as last week but the rest of the CG scene was new, with different song+choreography. 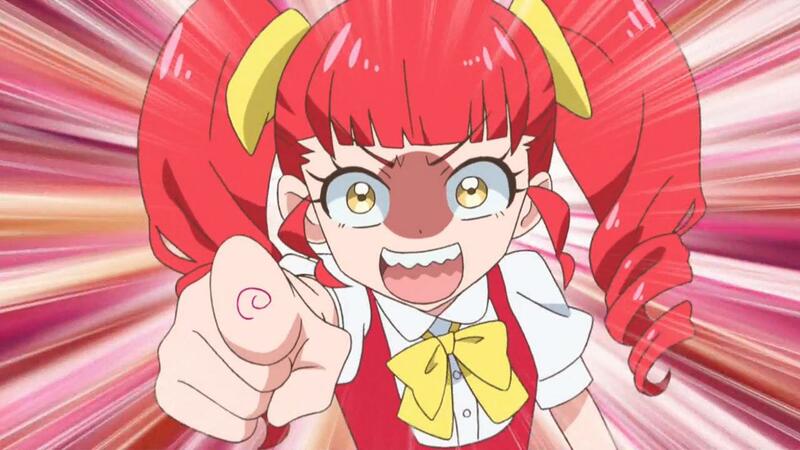 Oh its the kiratto button thing. Not a big fan of things happening without prior notice like that, just to fit with the arcade game’s systems. PP did that a lot too. 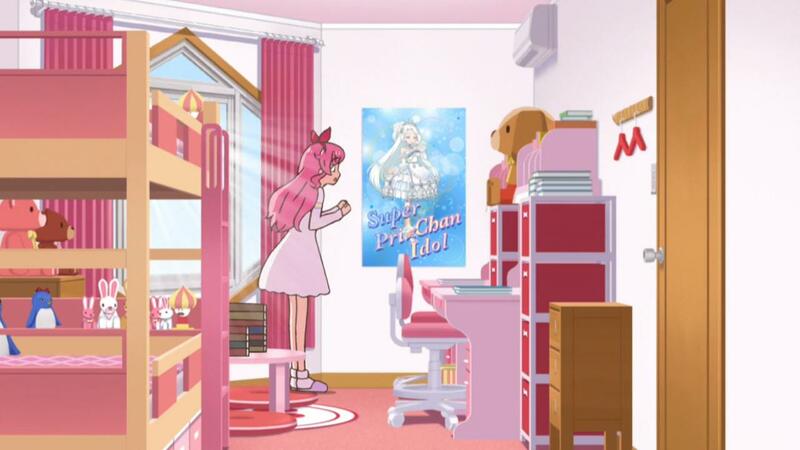 Sakuramochi san was saying maybe Kiratto button comes from space and aliens are actually controlling the Prichan world, and how there’s an UFO in the OP too. Made me laugh. But yeah I don’t like “random power up” like scenes with someone in the audience explaining it. 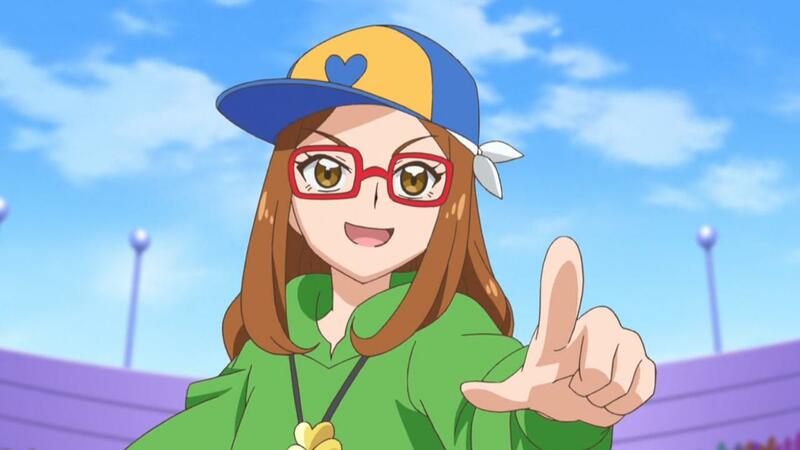 I’m happy at least Akaii meganee explained something instead of just SYSTEMU DESU KARA it out. 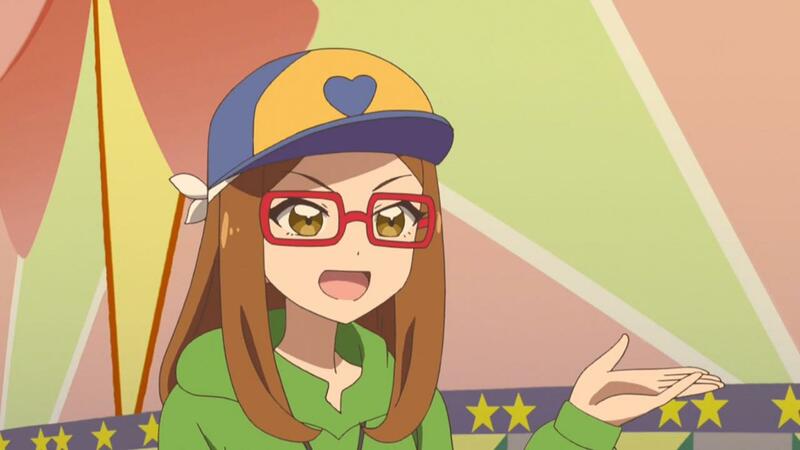 Also if you think too much, you could complain about how Mirai actually got favoritism, singing her lyrics with the actual song playing instead of acapella. kiratto coord is nice. The choreography was nice too. Also is it me or her expression looked more determined than usual during it. 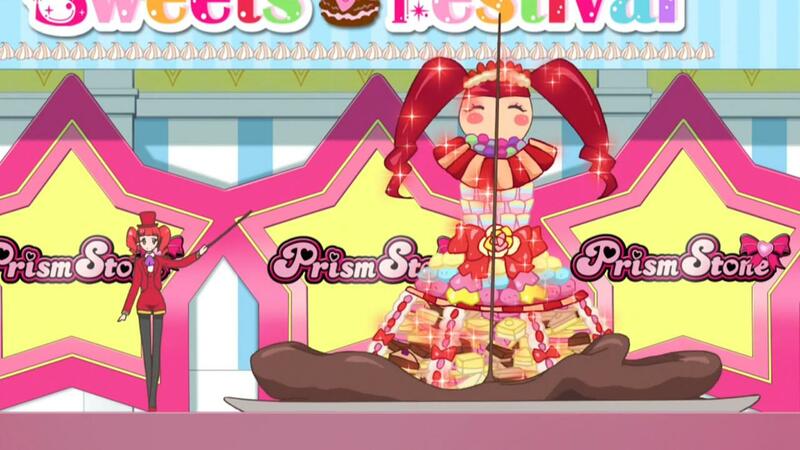 Overall it’s very similar to how they did kami aidoru stage in the PP anime. 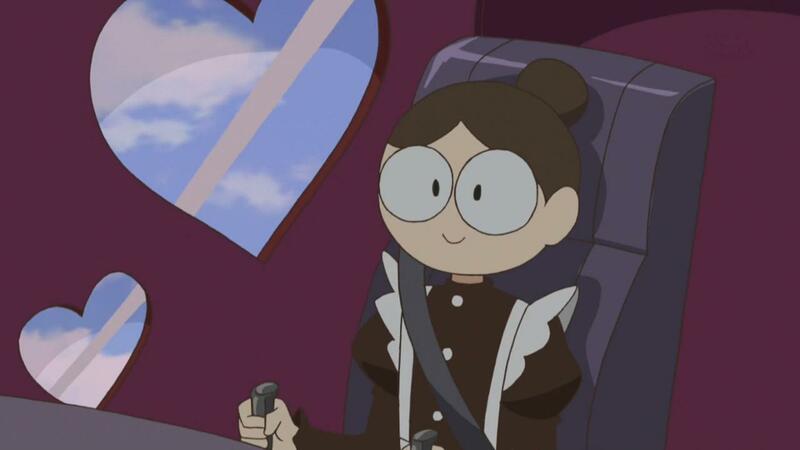 Episode’s story was kinda weird. 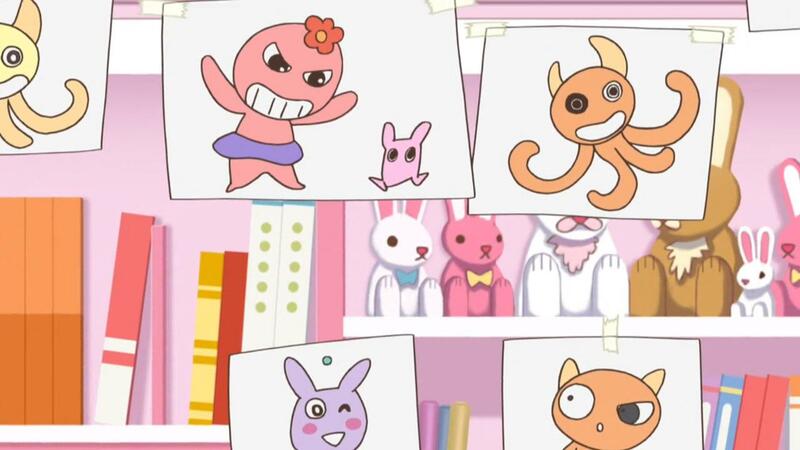 At first they try to find a group/channel name, and then talk about Mirai’s drawings and how she doesn’t think she has anything she’s good at, and then end up making lyrics. And in the end they manage to find everything+ a song. Though I guess it’s better than spending one episode on each thing, which would have probably made things boring. 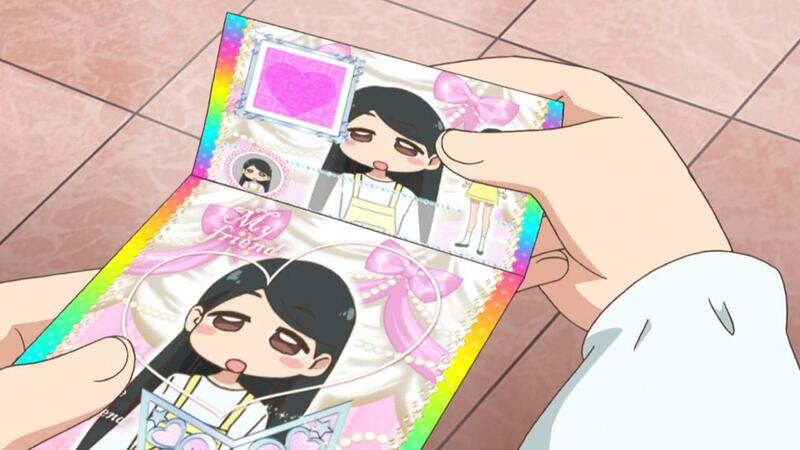 It’s interesting how every episode for now starts by showing a bit of the previous episode’s ending, along with the quick global explanation of the show before the OP. 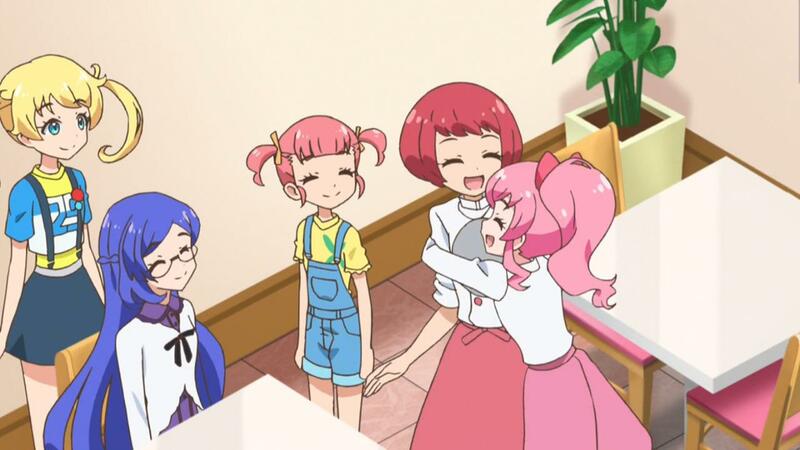 “Papa will come back soon too” yeah so I guess mirai dad is typical always travelling anime dad. 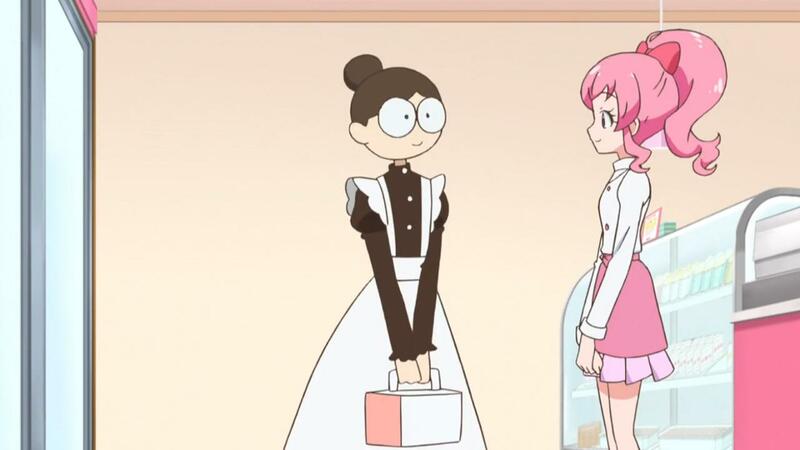 lol it’s that maid again. And the classmates. how did this chocolate cake even works. And Anna’s outfit was cute. It’s funny how they make it so all the characters portraits in small windows, the speech bubble, the speech arrow etc, all have mass. Last week I said “wow they uploaded after one take”, but I forgot they’re actually streaming everything live. 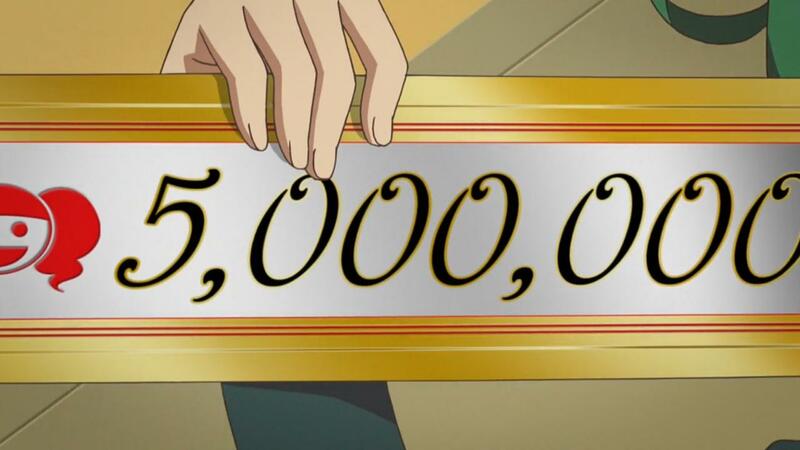 And was surprised they actually even said how the kiracchu cake costs 500yen, really trying to be realistic with the videos. The stalker!!! 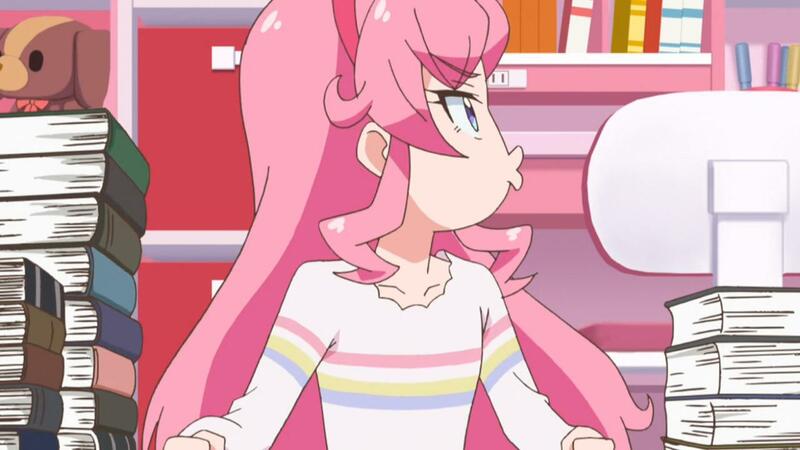 She hasn’t said anything for two episodes now though. 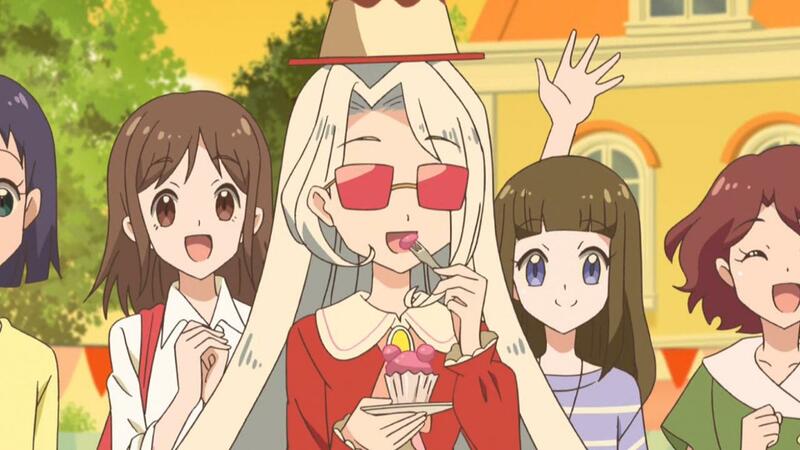 Hahaa they lost since the ranking took into account the cakes sales and obviously no one bought Anna’s ultra expensive cake. 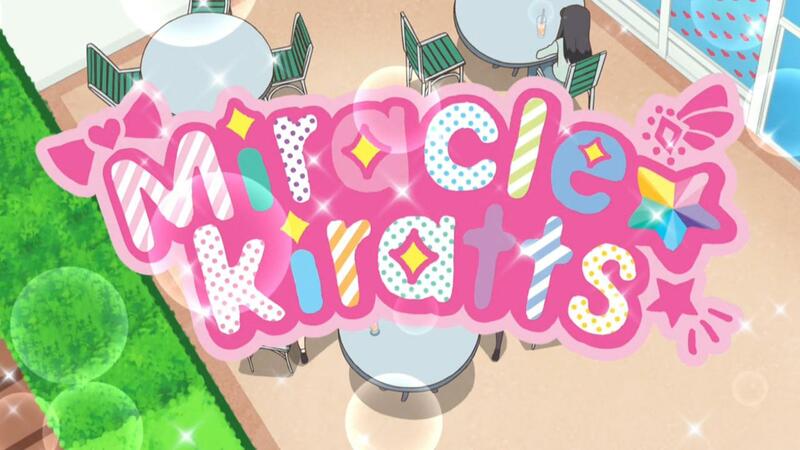 They changed the logo to miracle kiratts. 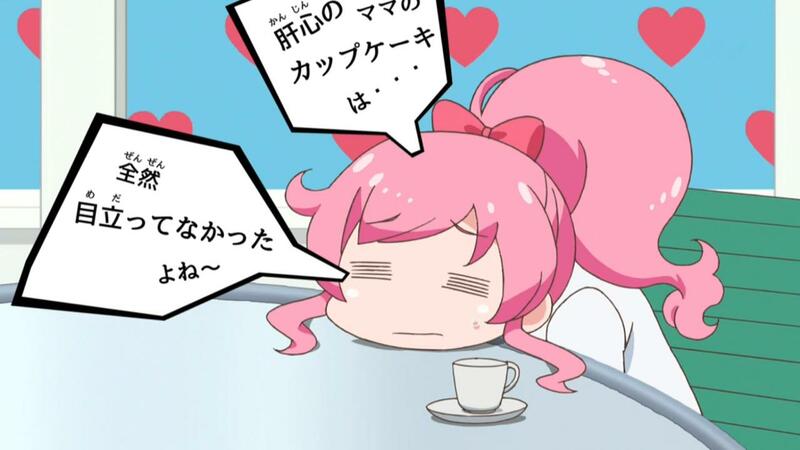 Also surprised Emo isn’t doing the live with her. 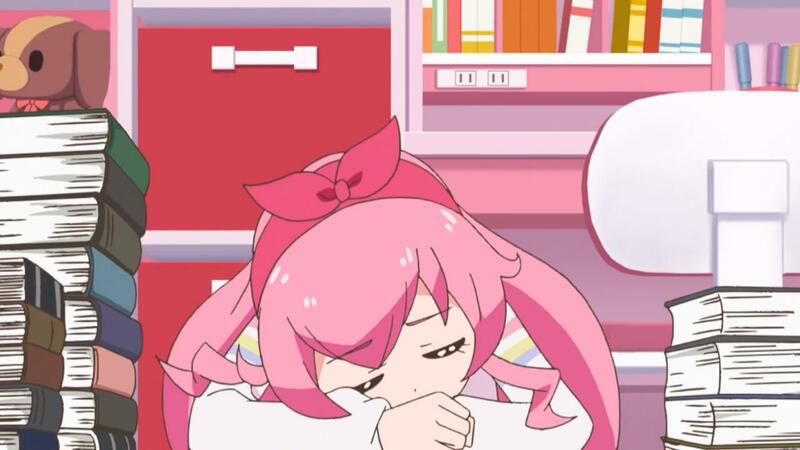 Maybe there’s no version of that song with Emo singing so they don’t want to put her CG model with Mirai to stay coherent. They should have just done it anyway imo. CG Scene was the same as episode 3. She’s still using the flower shop app and coord for now, they could have made a pâtissier uniform-like coord instead. 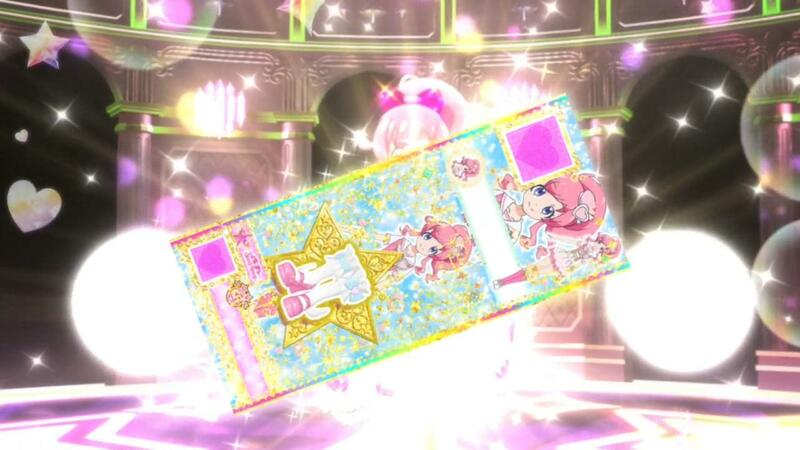 She wore the same kirachikke coord as in 3 during the Kirachike Kami Challenge, but got a new kirachike ticket at the end. 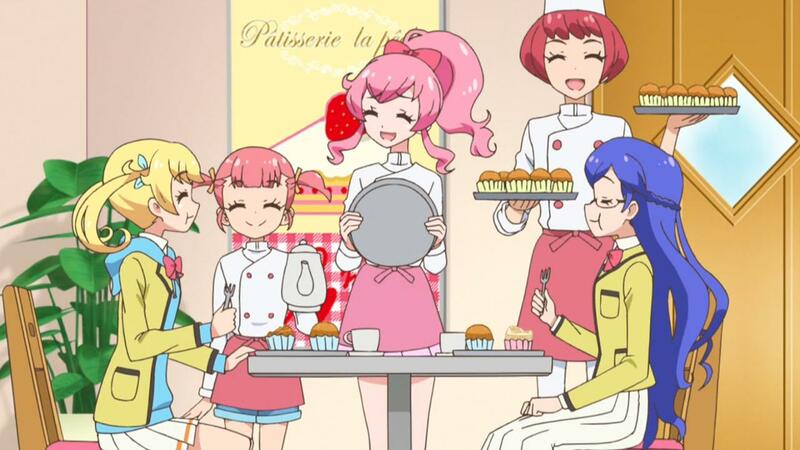 Seems to be the Prichan uniform from episode 1.
hahaha implicit joke Anna eats their sweets. She doesn’t want to show it most of the time but she’s not a bad girl. 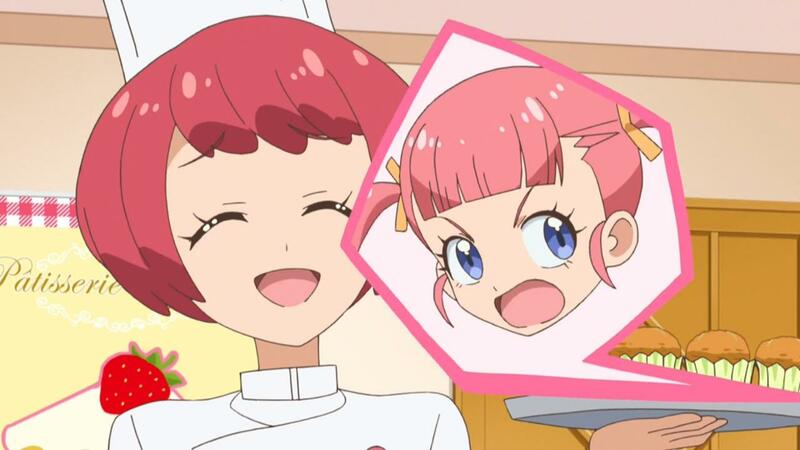 Fun face little girl was called Shirasu and voiced by Nagaku Yuki, a young seiyuu at Aoni Production who already did a few main roles. 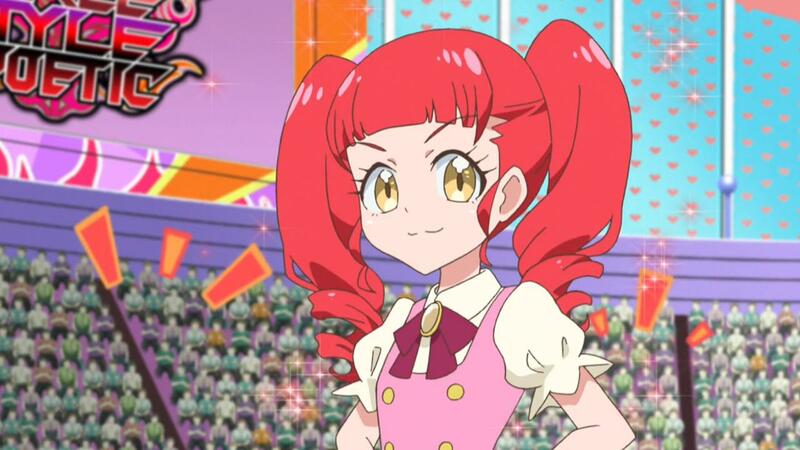 She was the Ahokainen Finnish/Swedish/Norwish(lol racism) girl in Akiba’s Trip anime so she already worked with Prichan staff. 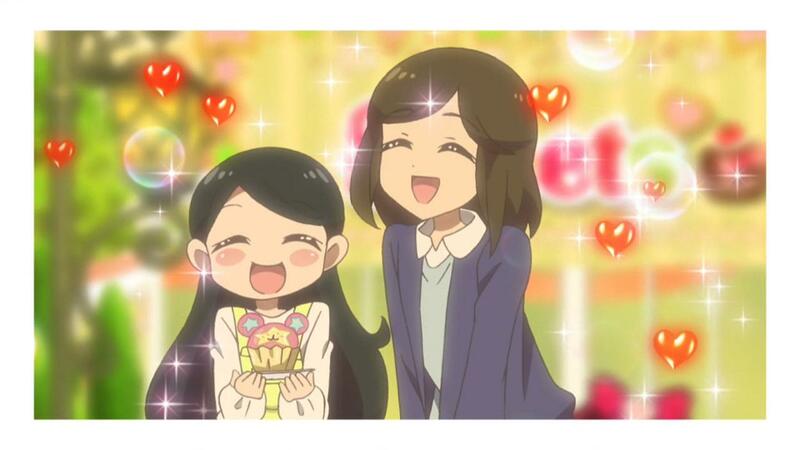 Shirasu Mom was voiced by Ogino Hazuki, young seiyuu at 81 Produce who hasn’t done any main role so far. That episode was fine just like 3. 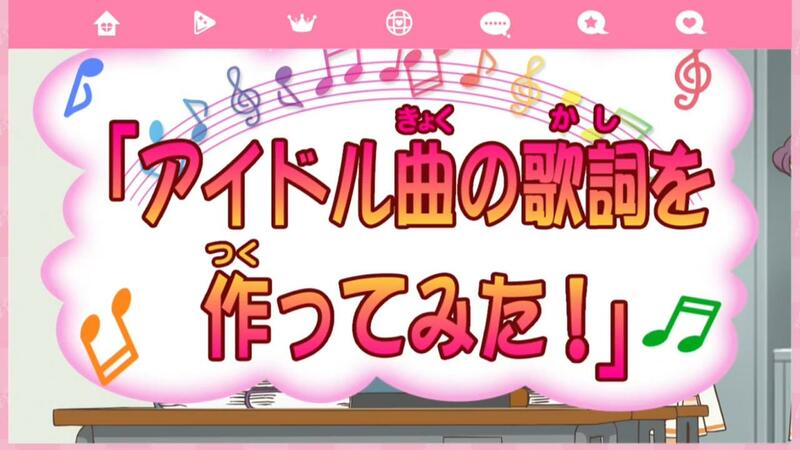 Judging from the jikai, next episode seem fun. Looking forward to it. 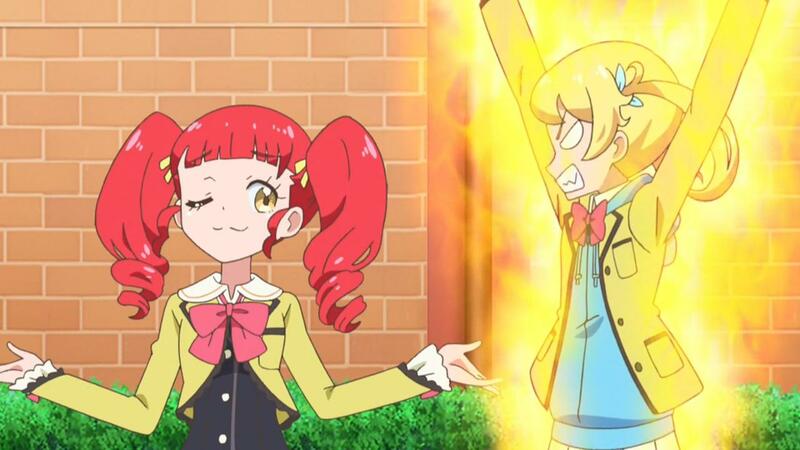 Akaneya Himika blogpost on PriPara ending. It’s long and pure idol talk so I don’t feel like even making a summary. 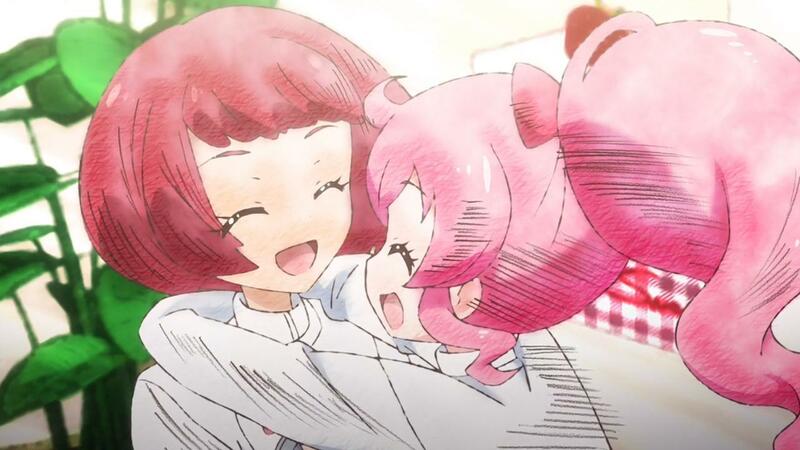 She just says things you’d expect: it was fun working on the show, sometimes it was hard but Laala always cheered me up etc. Nothing breaking news level. 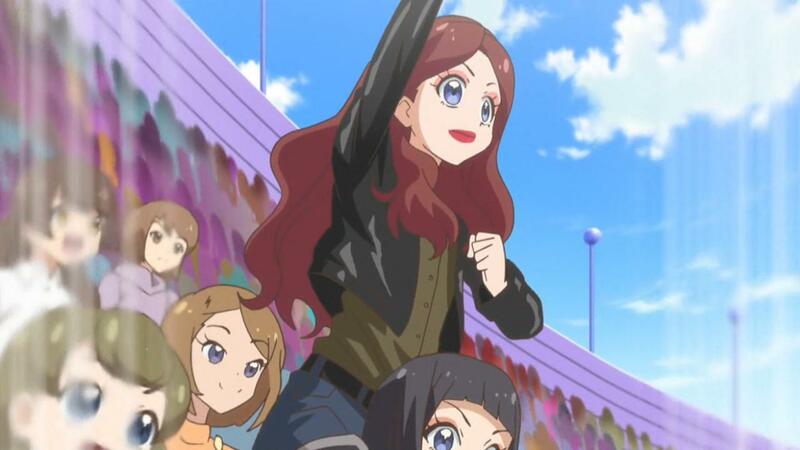 I still hope she and Yamakita will voice characters in Prichan later. 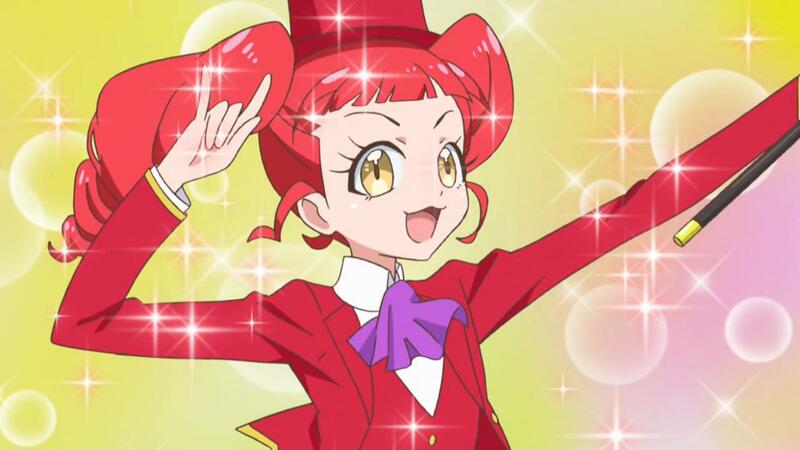 Especially Yamakita since I love her voice and she’s my favorite seiyuu that debuted these past 5 years or so. Along with JACK WESTWOOD. I’m still laughing about this. 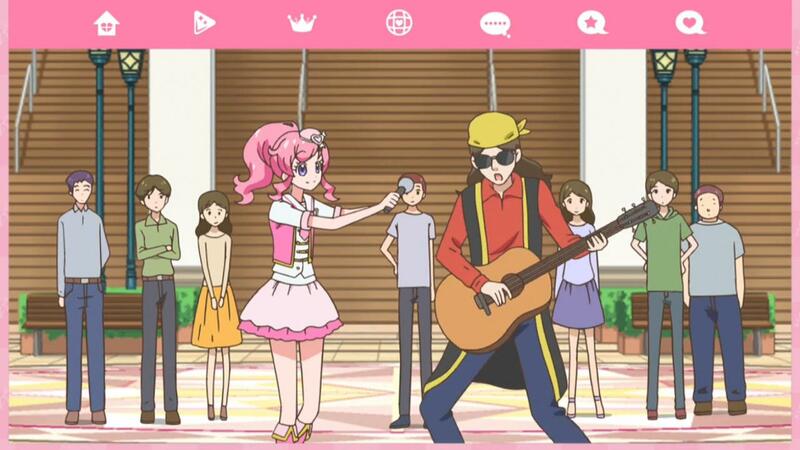 On March 31, the PriPara/Prichan official Twitter linked a short PDF about RGR and the Prichan arcade game. 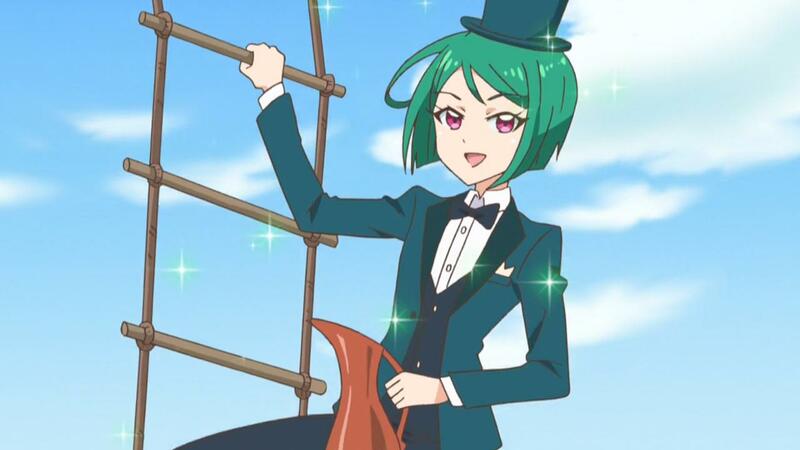 For some reason they removed it but managed to get it thanks to Sakuramochi san. There was an interesting part about it with each RGR member shortly talking about their memories of the Pretty Series. 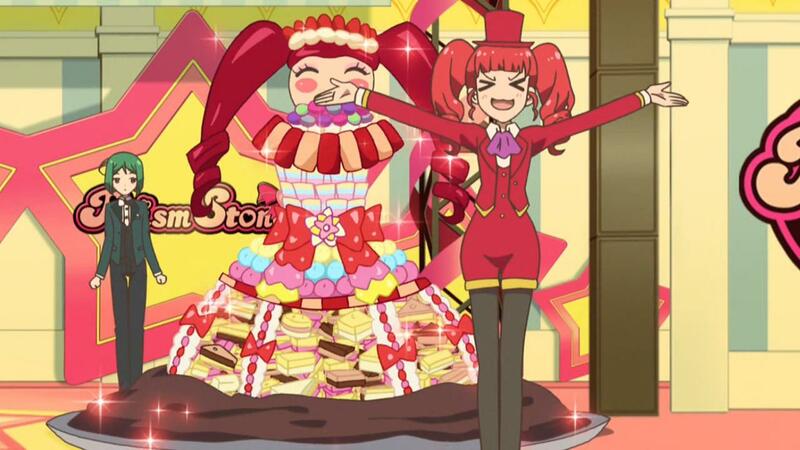 Hayashi Koko/Mirai said she used to like Prizmmy a lot. 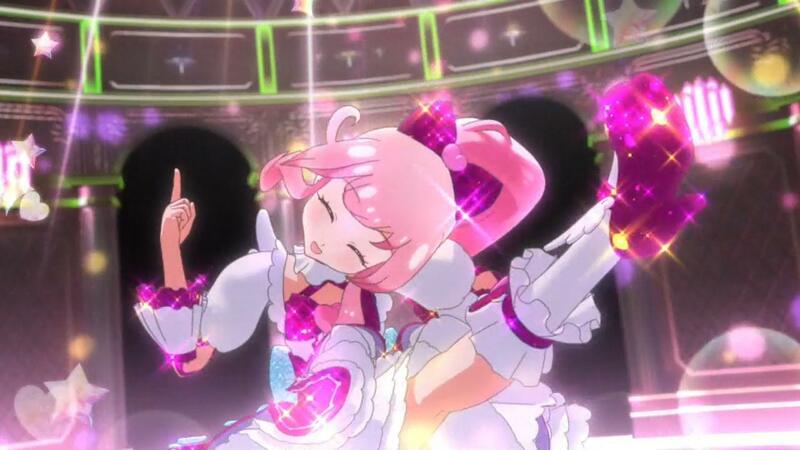 And would always go to Prism Stone or game centers to play Pretty Rhythm. 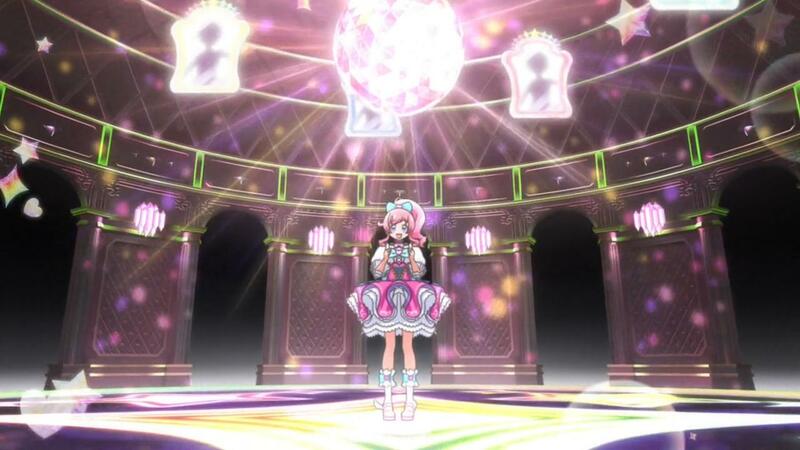 She would hoard the prism stone photo spot to take photos a lot too. 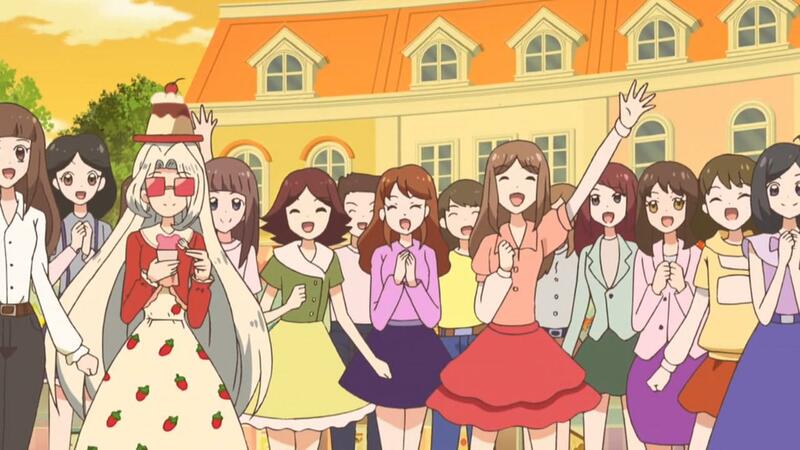 Morishima Yuuka/the one they haven’t revealed the character of yet (maybe purple girl who’s with Anna and Sarah?) 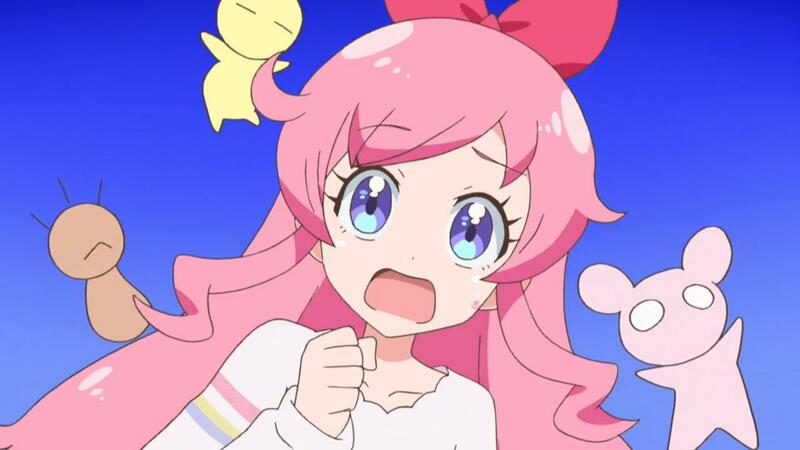 said she really likes Pretty Rhythm and used to really like the coords in it. At some point she started redrawing the coords which were in 3D on paper. She really respects the series and forever will. 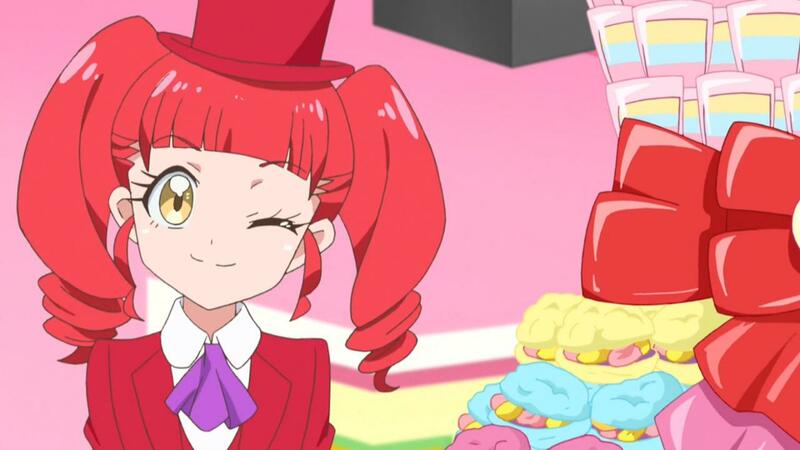 Atsugi Nanami/ Rinka said she likes PriPara the most among the Pretty Series, and she used to play a lot shouting Cyalume Chaange, Airy chaange etc like in the anime. She’d always get excited playing the game and getting new purichike. 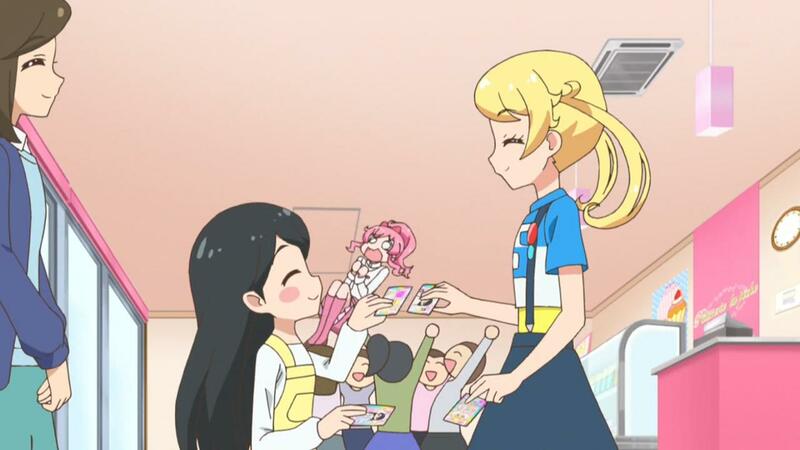 One day while getting home after playing PriPara a random girl who was walking behind her asked her to trade tickets, and she really likes PriPara because of experiences like that. How you could actually get friends like that. 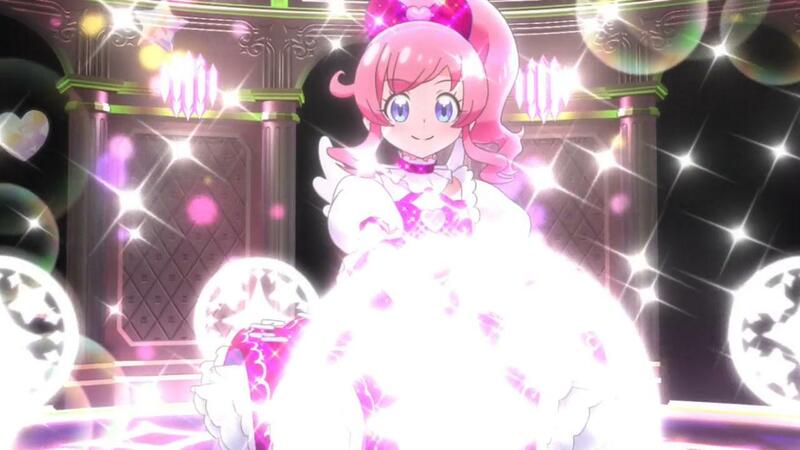 She’ll always hold a place for PriPara in her heart. 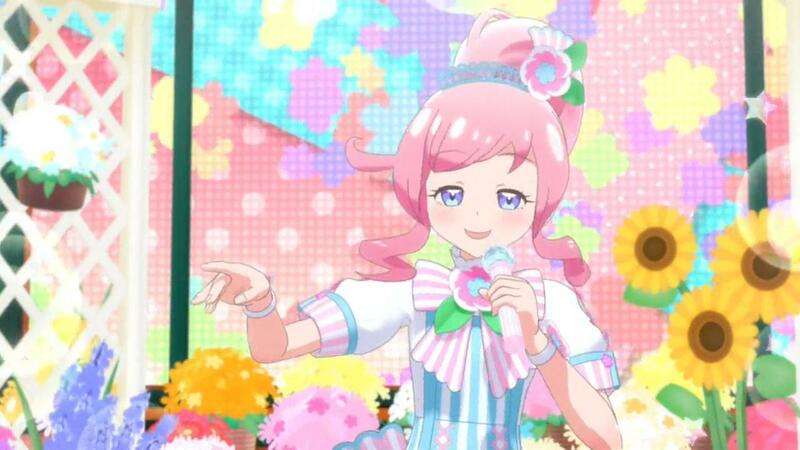 Hayashi Koko/Mirai said she’s the opposite of Atsugi, ever since she was a kid she liked singing and she’d always say she’d become a singer one day. Whenever she saw kids on TV she thought it could be her too. So she did a lot of auditions too, but failed everything. Either her parents or some adults told her that she should try seiyuu auditions instead, and since she likes anime and she’s a fan of Watertree Seven she tried it out. That’s how she took up the RGR audition. 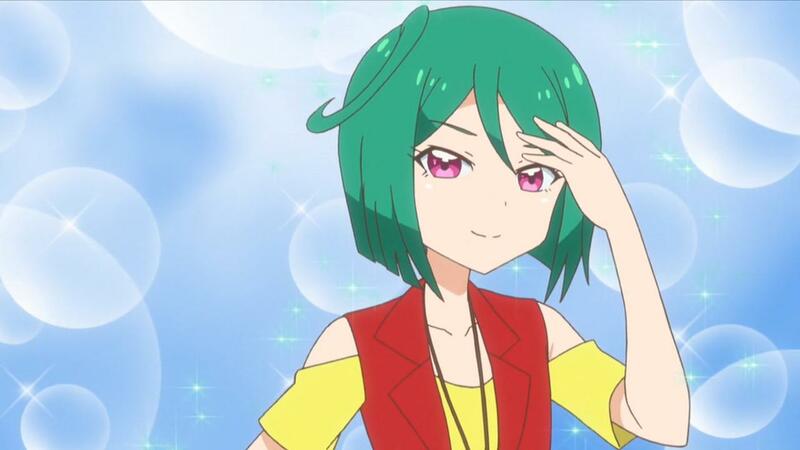 Morishima Yuuka said deciding to take the audition is what changed her life the most. She used to sing at karaoke a lot so people would probably tell her she sings well etc but only thought about doing it for real and gaining confidence when she saw she managed to reach the last stage of the RGR audition. On April 7th 2018 at the Sunshine City fountain square in Ikebukuro event they did, they were really nervous. It was the first time where they’d be seen by people who didn’t specifically come to see them. They were happy when they saw people who’d stop their shopping to watch them. The song’s MV was shot in Harajuku. It was actually the first time they visited and saw so much of it, because all 3 of them grew up in rural places. 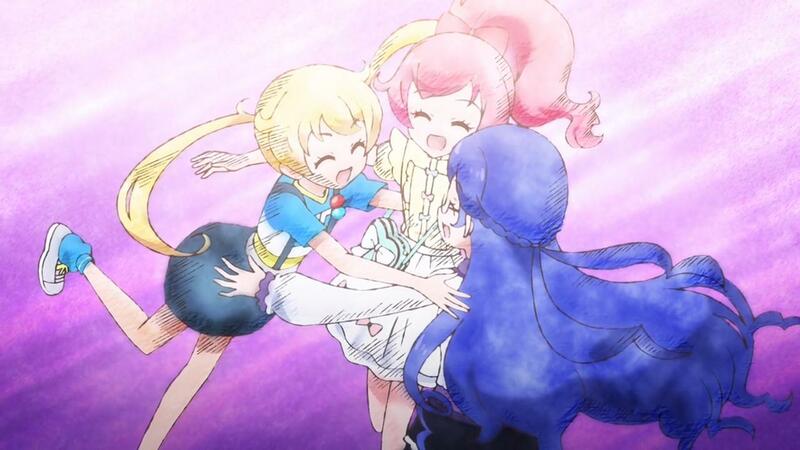 They talk about how the PriPara & Prichan movie has 3 routes named after the PR seasons. Unless they’re not saying it on purpose, there won’t be a 4th hidden boys route and like I said the boys stuff will directly be in each route anyway. 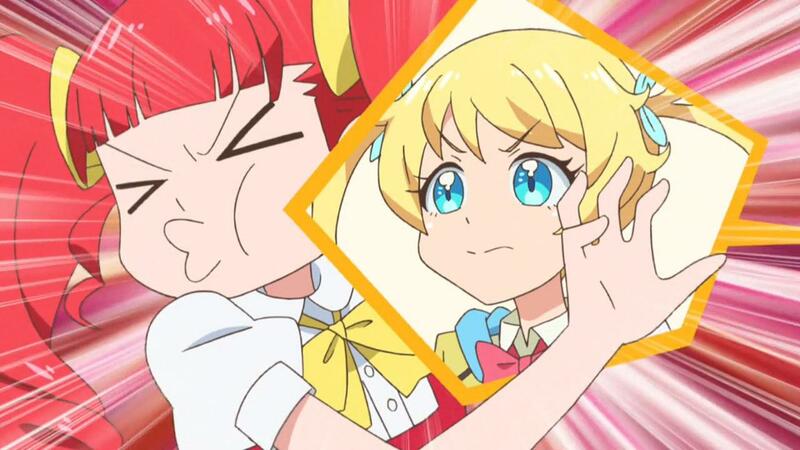 CG Director said there’s a difference in the CG models’ eyes “structure” in the Prichan CG compared to previous works. 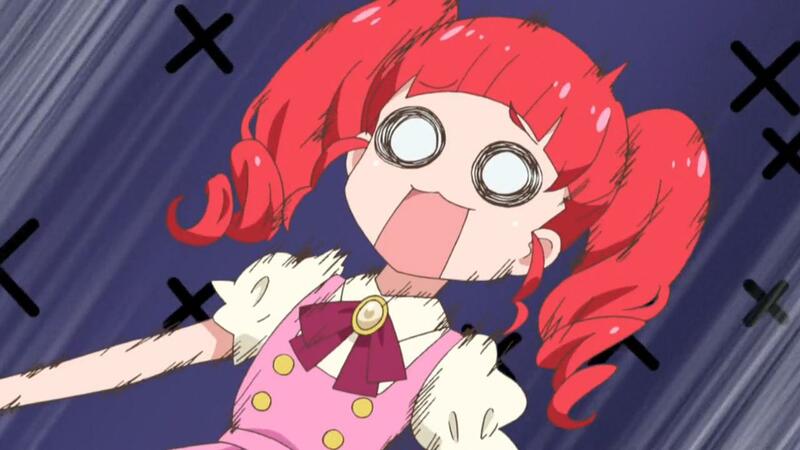 Apparently thit’s the fact that the 3DCG models’ eyes can move independently from their face now. And you can notice it in the small segment when they introduce themselves before the lives. 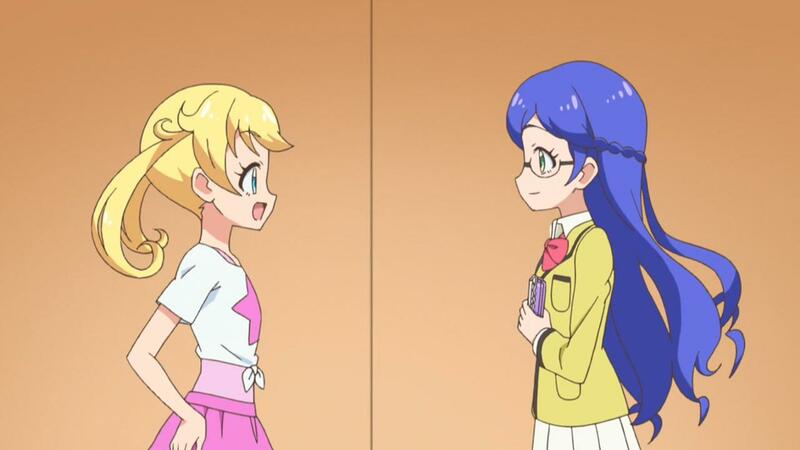 Mirai and Emo glance at each other. 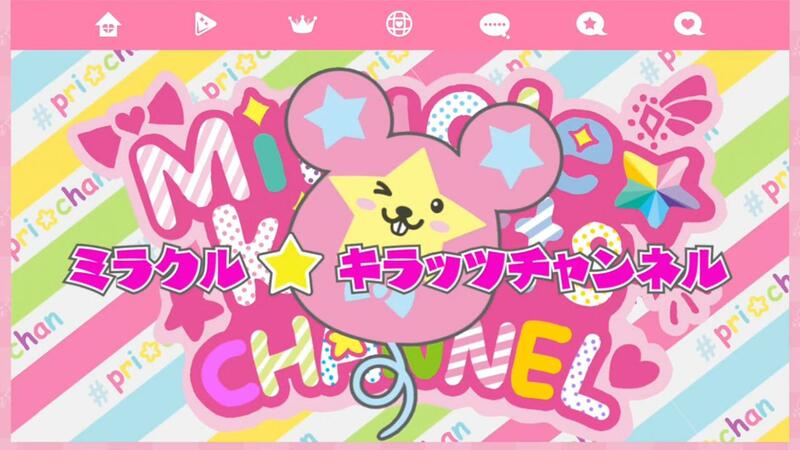 Prichan official Youtube has episode 1 on it. I used to think at first they’d upload all episodes every week but that was way to good to be true. They only upped ep1 for those who may have missed it. 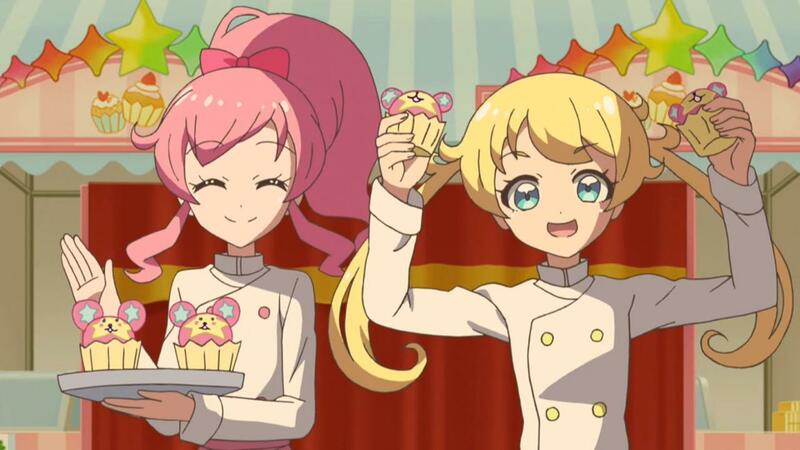 Prichan Twitter which was PriPara twitter before had a tweet signer Yuzuru saying he’ll do most of the tweets now, with Kuma being surprised the mascot like character who’ll succeed him is human. 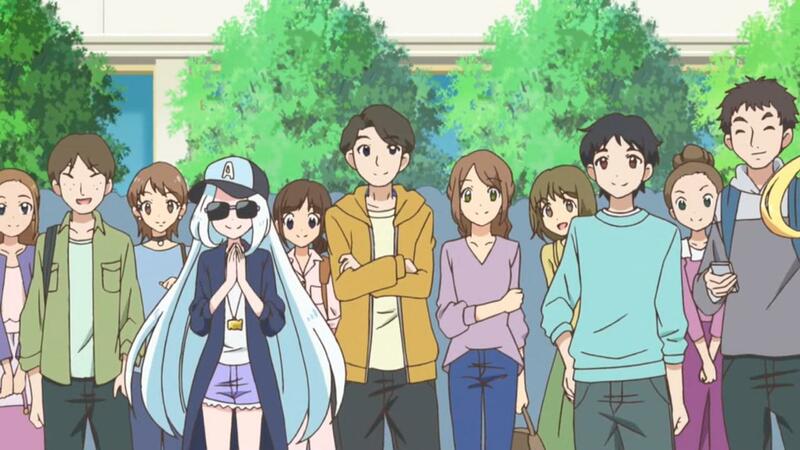 Gojou Sakura aka Fairilu director aka Aoba Jou meeting Aoba Yuzuru. 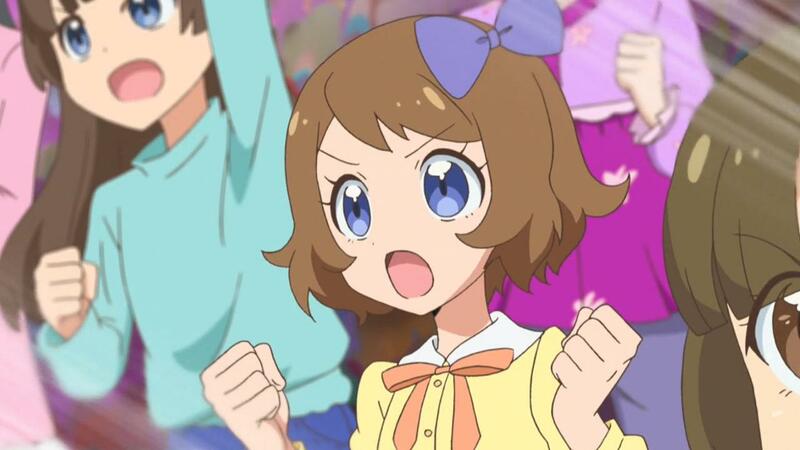 Prichan’s Director was advertising the RGZ creowdfunding to Prichan fans on Twitter. 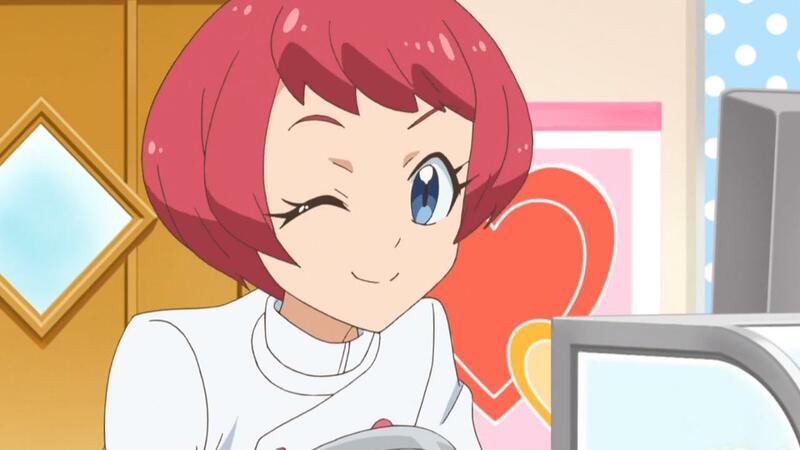 Hikari seiyuu saying she’s a cheeky brat but very cute and a good little sister. 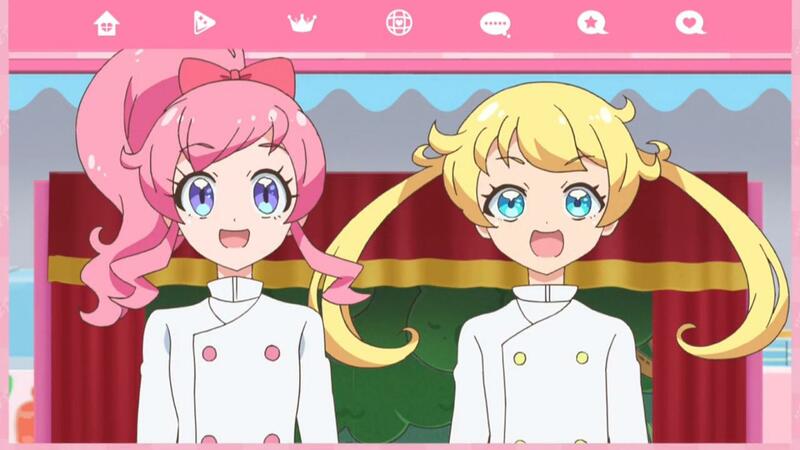 Someone pointed out all the video listed on Prichan episode 1 were screens or things from PP. 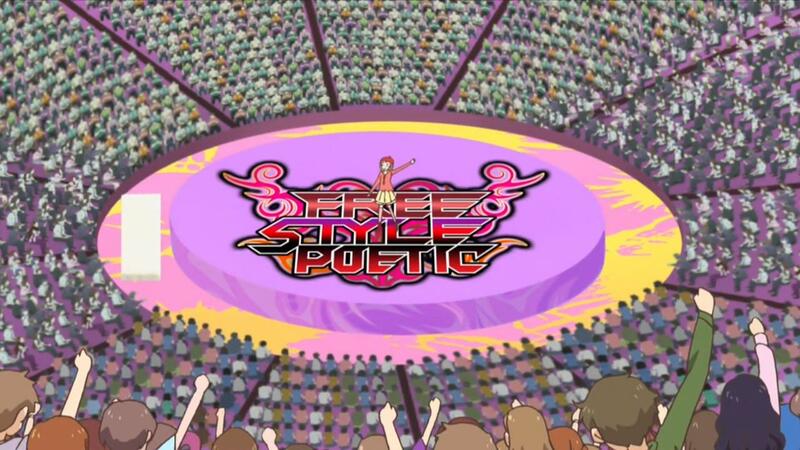 Only thing I noticed was the silhouettes dancing were the same as in PP ep1(or was it the first epsiode of PP s2) and are silhouettes of PR chars. 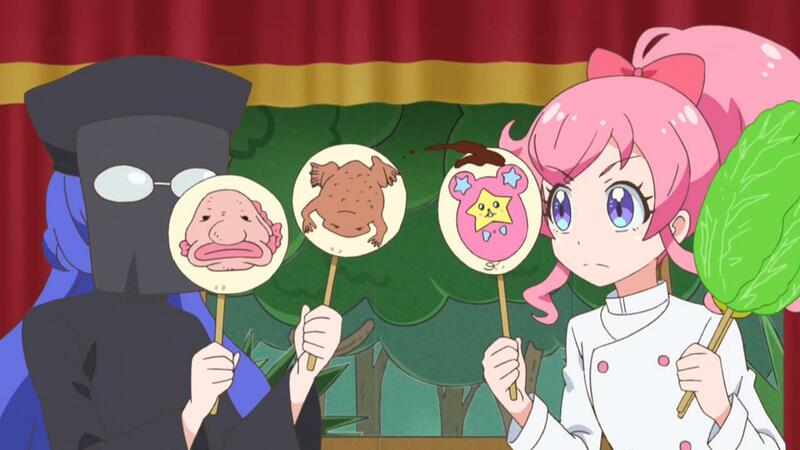 Pretty normal things change a bit between the pre airing preview and the actual ep, happens oftens in anime. 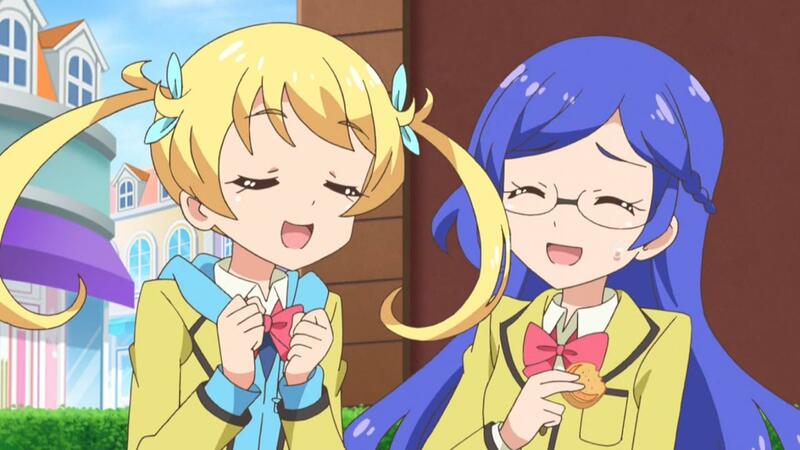 Even with RL, in the 1st PV Coo had yellow hair. In RL there was even an instance of CG feathers changing between the jikai and actual ep. 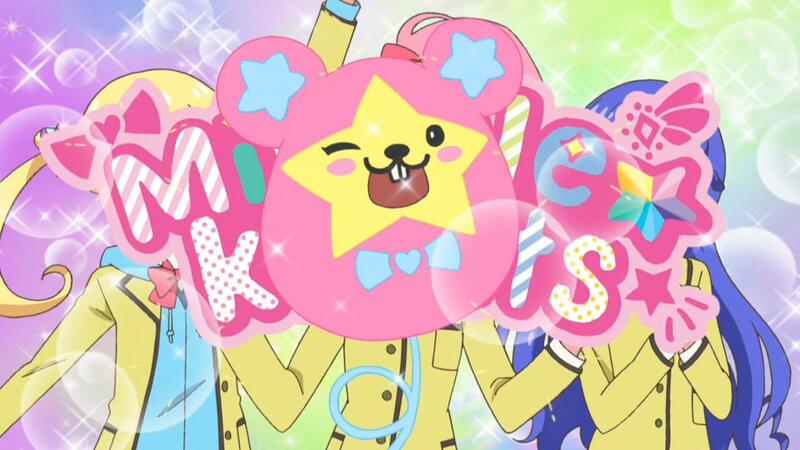 Just realized they they haven’t talked about brands in the anime. Maybe they will later. 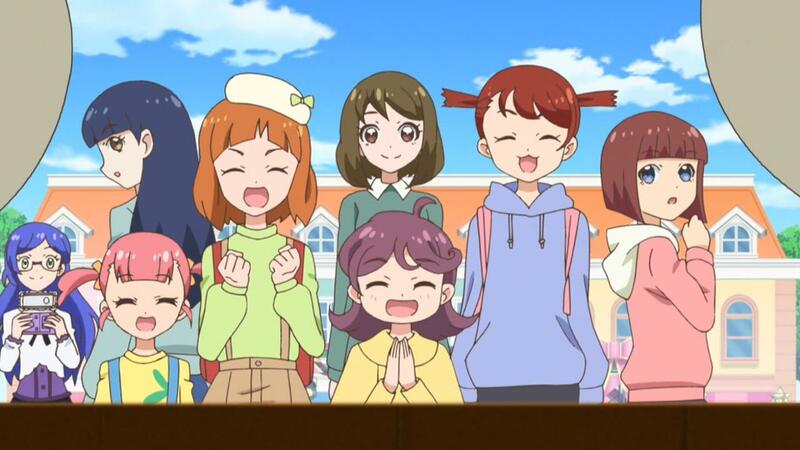 This entry was posted in Kiratto Pri☆Chan, Opinions on..., Pretty Series and tagged Kiratto Pri☆Chan, Pretty Series, Prichan, RGR, Run Girls Run! on April 30, 2018 by rockmanshii.